Sweet BBQ Rub for Chicken is a quick and easy dry BBQ rub that’s perfect for adding a lot of flavor to your grilled chicken or even pork! Hello friends!! It feels like ages since I last posted! School was out for the summer last week so it was a little crazy around the house. So, I spent most of last week coming up with our summer schedule to help fight boredom because it was in full effect on the second day! Summer is way too long when all I hear everyday is the ever dreaded words “I’m bored” every 5 minutes. However, they did figure it out pretty quickly that if they didn’t find something to do I was going to put them to work, lol! 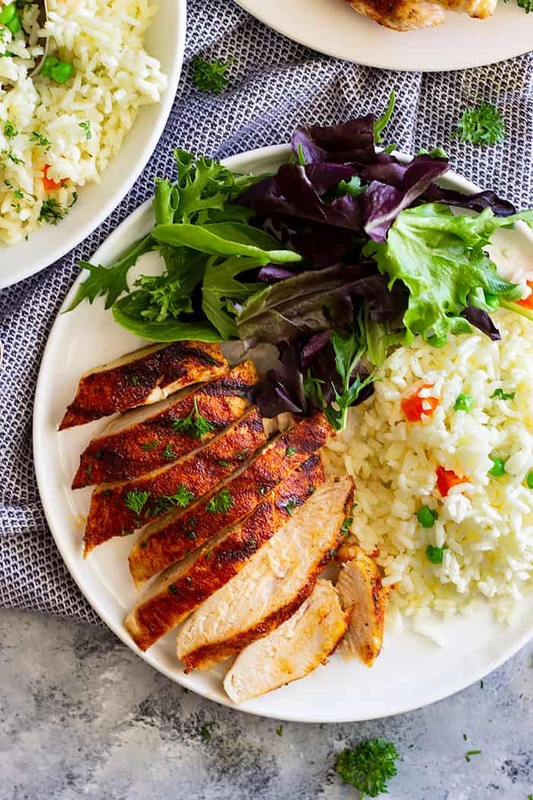 So along with summer comes an easier menu and cooking on the grill to help keep the heat out of the house. 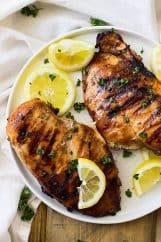 I love grilled chicken but sometimes I forget to marinade it in the morning so I need something that will add flavor now! 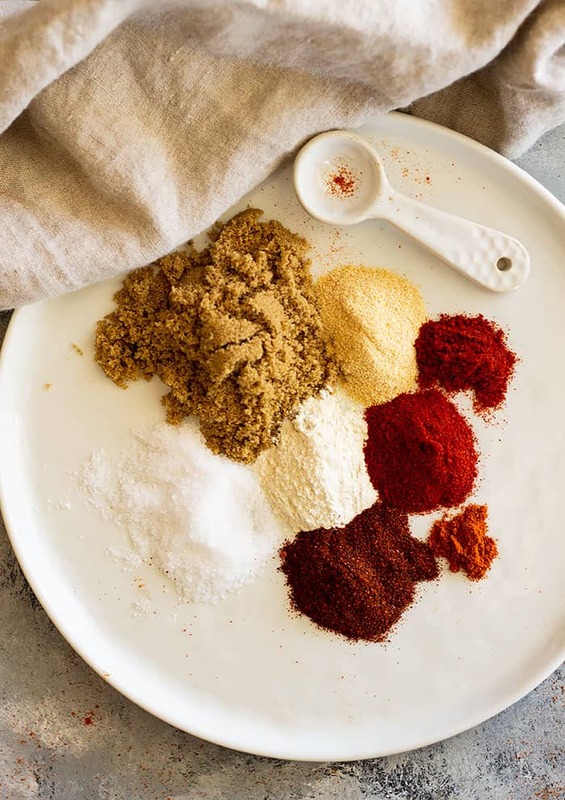 That’s where spice rubs come in handy but don’t buy them from the store when it’s so easy to make them yourself and it’s much more cost effective. Especially if you do a lot of grilling! 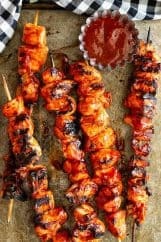 However, if you do want a great marinade for chicken this Simple Marinade for Chicken is a good one! So how do you use a rub on a chicken? Great question because there are a couple of ways you can do this. First, if you are using a large cut of meat such as a whole chicken or if you are using this on a large cut of pork (roasts) I like to apply the rub and wrap it in plastic wrap and refrigerate for 2+ hours. For a smaller piece of meat (chicken pieces, pork chops…) just apply it shortly before grilling. To apply the rub dry the meat well with a paper towel. Sprinkle all sides of the meat with the spice rub coating it well then gently press the rub into the meat. You can also smear a small amount of olive oil on the meat after drying it. Then sprinkle with spice rub and rub it into the meat. I like to use a little oil when I am cooking dryer cuts of meat. 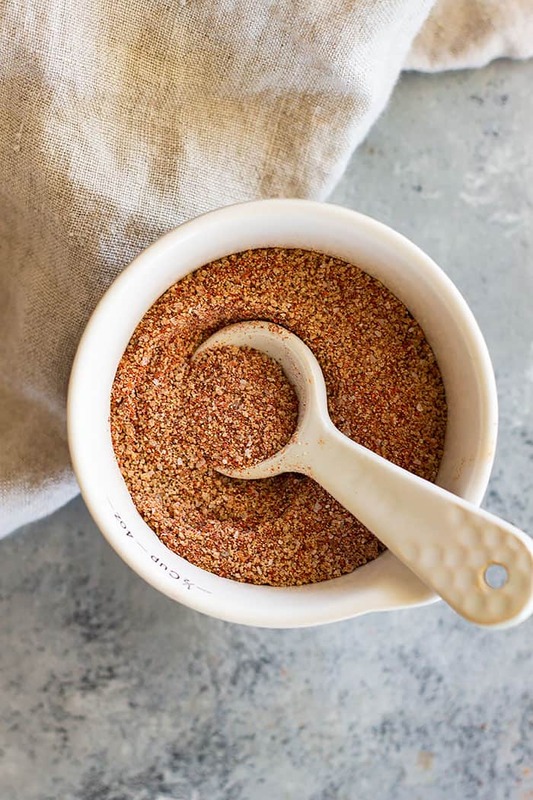 This dry BBQ rub has a subtle smokey flavor to it. Don’t worry it’s not overwhelming just a subtle hint. It comes from smoked paprika but if you don’t like it don’t worry just omit it. It will still taste great without it. Also, this rub is very customizable. If you want more heat feel free to up the amount of cayenne pepper. If there is a spice you really don’t like just omit it or replace it with something similar. Having said that don’t substitute the dark brown sugar or the kosher salt. Both are the vital components to a basic sweet rub. 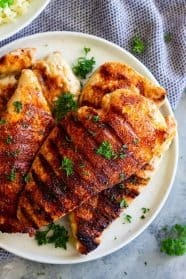 What to serve with this BBQ chicken? I have several options for you! 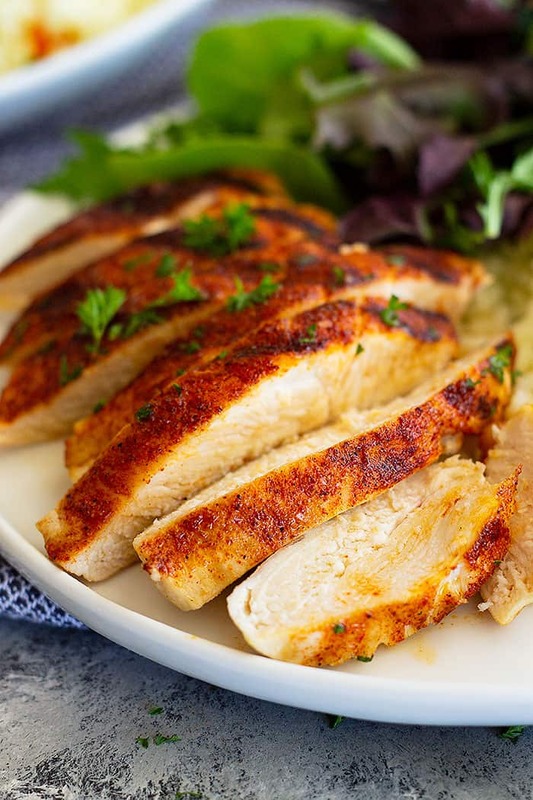 Sweet BBQ Rub for Chicken is a quick and easy dry BBQ rub that's perfect for adding a lot of flavor to your grilled chicken or even pork! In a small bowl combine all ingredients. Store any leftovers in a small jar with a tight fitting lid. Great question because there are a couple of ways you can do this. First, if you are using a large cut of meat such as a whole chicken or if you are using this on a large cut of pork (roasts) I like to apply the rub and wrap it in plastic wrap and refrigerate for 2+ hours. For a smaller piece of meat (chicken pieces, pork chops...) just apply it shortly before grilling. This dry BBQ rub has a subtle smokey flavor to it. Don't worry it's not overwhelming just a subtle hint. It comes from smoked paprika but if you don't like it don't worry just omit it. It will still taste great without it. Also, this rub is very customizable. If you want more heat feel free to up the amount of cayenne pepper. If there is a spice you really don't like just omit it or replace it with something similar. Having said that don't substitute the dark brown sugar or the kosher salt. Both are the vital components to a basic sweet rub. 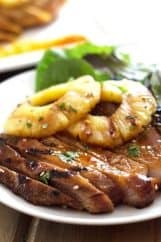 What a perfect recipe for summer grilling!!! I love that you added a little “sweet” to this rub! 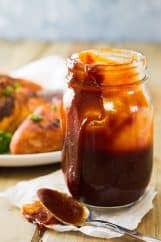 I love a good sweet and slightly spicy BBQ! Ooh! I’ll totally have to try this!